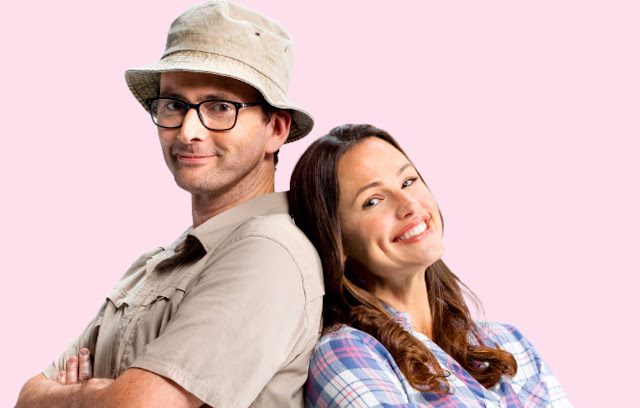 As we informed our readers late last year, David Tennant and Jennifer Garner's comedy series Camping will arrive on Sky Atlantic in the UK on Thursday 31st January. The American series follows a group of friends on an ill-fated trip into the wilderness. Sky has now confirmed details of the show's launch. The first two episodes will air back-to-back from 10pm on 31st January (episode 2 starts at 10.35pm). The show will also be available to watch via Sky's streaming service Now TV. Based on the UK series of the same name created by Julia Davis, Camping has been reinvented for an American audience by Lena Dunham and Jenni Konner, the team behind Girls. Jennifer Garner stars as the hyper-controlling Kathryn, who is trying to organise the perfect birthday weekend for her husband, the meek and compliant Walt, played by David Tennant. But the meticulously planned camping trip is derailed by the arrival of a recently divorced friend and his new partner, the free-spirited Jandice, played by Juliette Lewis. What follows is a test of marriage and friendships that will change everyone forever. Camping also stars Ione Skye, Arturo Del Puerto, Janicza Bravo, Bridget Everett, Cheyenne Haynes and Brett Gelman.